Taipei's 921 Earthquake saw 2,246 people perish. The Design Alliance competition entry created a memorial to foster healing for the survivors by providing a place for peace and meditation. The Monument is in a park setting at the center of a series of formal landscaped terraces, walkways and flowing water. 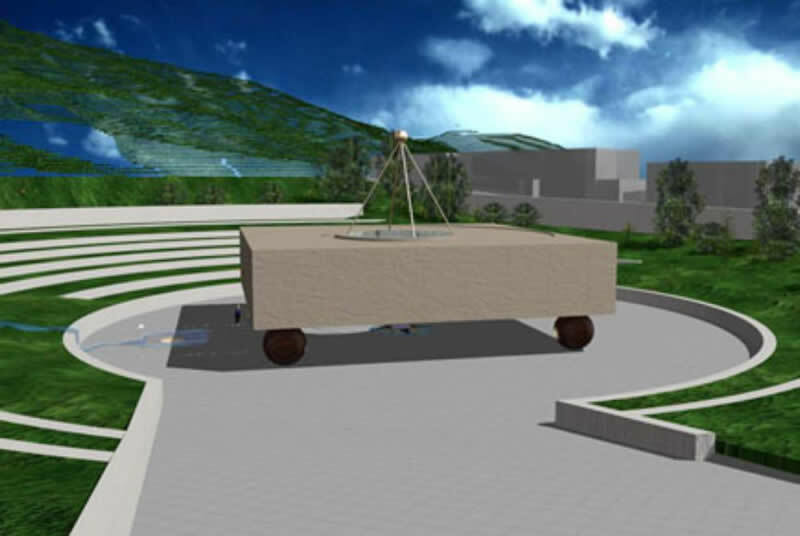 The structure is an open, modern, large scale edifice serving as the base of a perpetual motion pendulum, at the earthquake's epicenter. 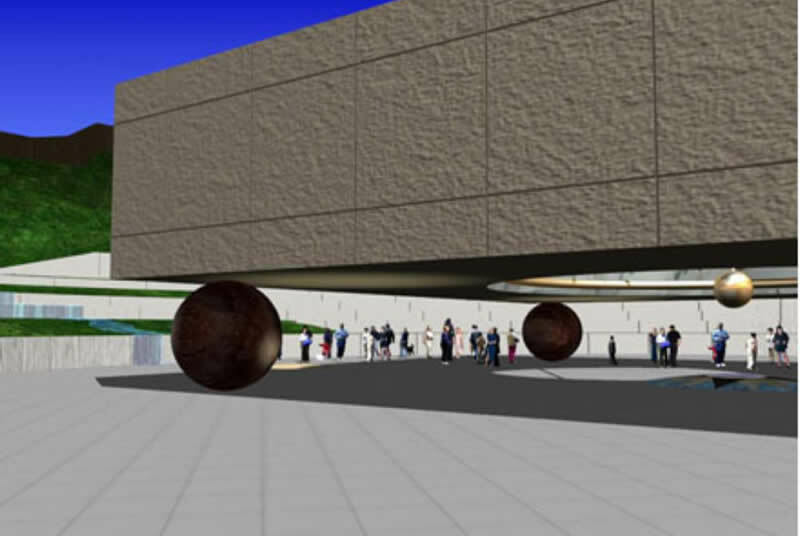 The circulation and concentric terraces emanate outward from the granite monument, supported tangentially by huge spheres minimally touching down on the site. 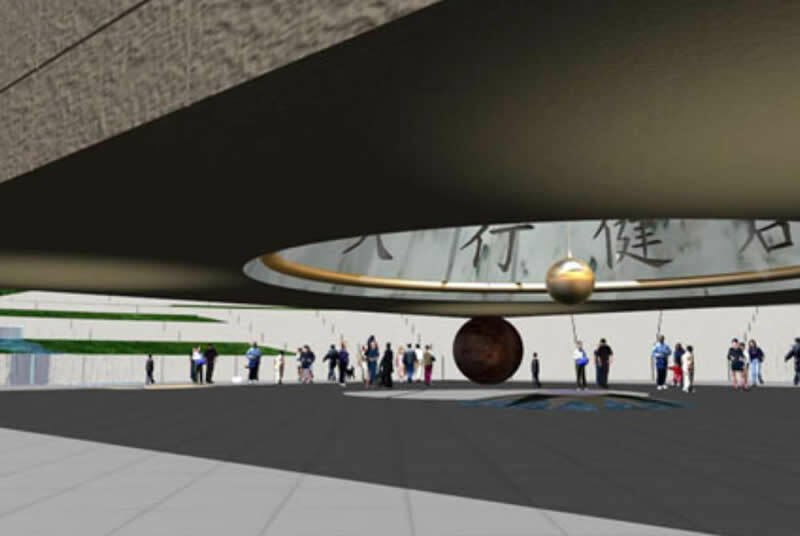 Inside the open-air Monument is an accentuated area below a conical oculus supporting a Foucault Pendulum. 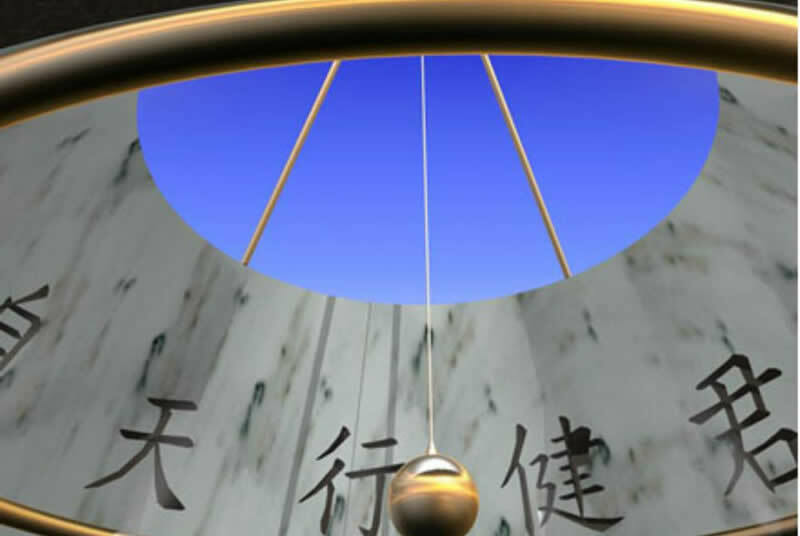 The phenomenon of the pendulum's perpetual free motion device with the earth's rotation is perceived to move the pendulum around the circumference of oculus wall. 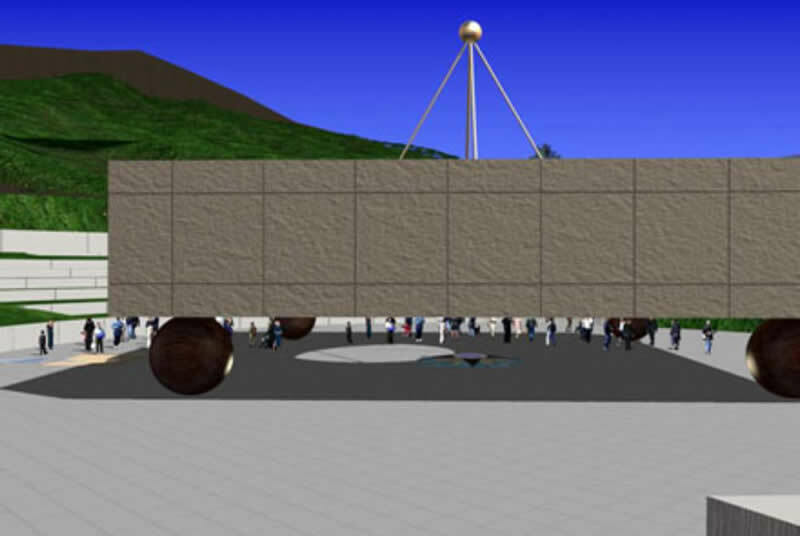 The wall is inscribed by a series of characters symbolizing the significance of the passage of time aligned with the pendulum's movements.